OK, we’ve made it to the fifth and final part of our collection of books which are ideal for kiddoes aged six to eight years old. We’ve covered a variety of great titles, including titles ranging from The BFG to Diary of a Wimpy Kid. Today, we have four more titles that you can enjoy with your little one. 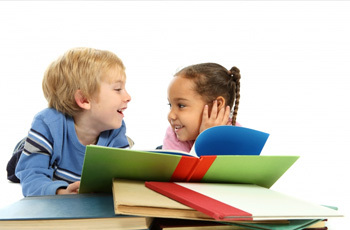 Here are some excellent reads for kids reading at about a seven-year-old reading level. 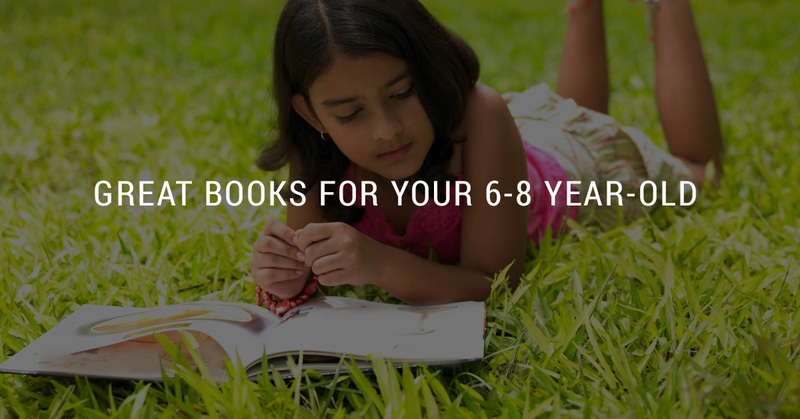 (You can catch up on our last group of recommendations at Great Books to Read to Your Six-to-Eight-Year-Old Part IV). The Actual Size book presents just that: the actual size of animals that live around the globe. Steve Jenkins tells us how big a tiger is, as well as a gorilla, an elephant, and more. Best of all, your child learns through experience with Actual Size. How? Well each page gives your kiddo the opportunity to measure animals against the size of their own hand. For a rich, entertaining learning experience, you’ve got to read Actual Size. Jon Scieszka is a wonderful children’s book author who is well known for his Frank Einstein book series. In his title, Squids Will Be Squids, Jon brings us a collection of short stories which he calls “Beastly Fables.” Each story presents a moral, but these morals are suited for kiddos. As you read, your kiddo will be giggling at the images and text. For a fun favorite, check out Squids Will Be Squids. This book may be your child’s first anthology of poems, and it’ll certainly be their favorite. This book surrounds a collection of easy to read poems, each part of a seasonal theme that prevails throughout the collection. Read poems from Robert Frost, Emily Dickinson, William Carlos Williams, and other famous poets. Your child will also enjoy the collage-style illustrations presented by Melissa Sweet. Exclamation Mark is a witty short-story picture book with a simple concept. It’s OK to fit in, and it’s awesome to stand out. Learn about discovery, finding one’s self, and having fun. Oh, and you’ll learn a little bit about punctuation along the way. Tom Lichtenheld brings us simple, easy to understand images that bring light to the narrative of this classic book. Thanks for stopping by once again! We hope that you enjoy our selections—we’re certain that your tyke will find a few favorites to add to the bookshelf. Keep on reading, and as always count on us for daycare and schooling needs for your children. Here at Home Away from Home, we have five locations, including schools in Palm Beach Gardens, Wellington, West Palm Beach, Royal Palm Beach, and Boynton Beach. Learn more about our schools, and call us if you have any questions!